Drive your own adventure! 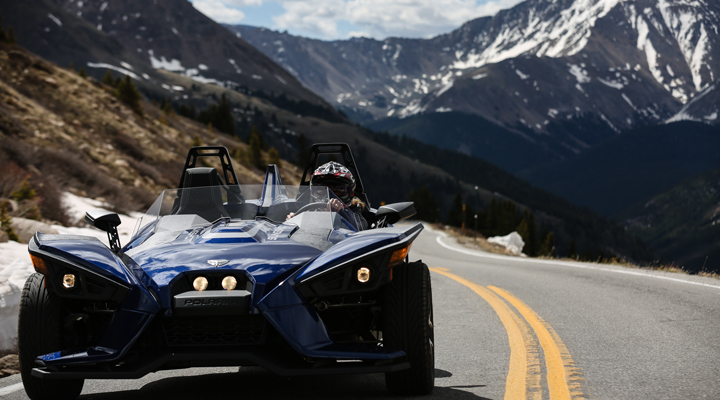 Rent a Polaris Slingshot May through October at the Buena Vista Adventure Hub. These open-air roadsters are a fun way to tour the many scenic passes in Central Colorado. Independence Pass between Buena Vista and Aspen, Colorado. 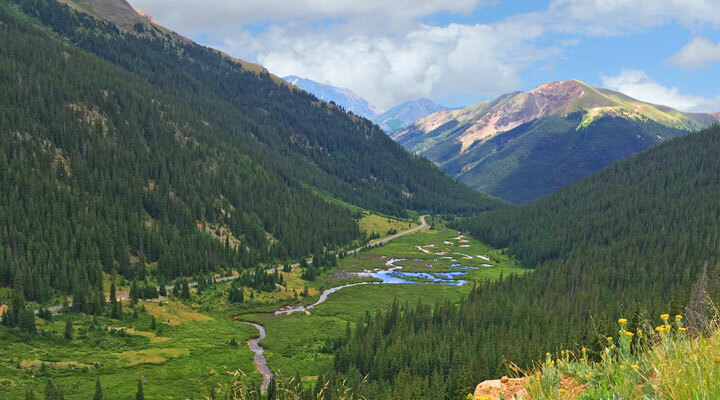 There are lots of spectacular routes to choose from in this area, but Buena Vista to Aspen is a great option. Take CO Highway 82 over Independence Pass, where peak elevation is above tree line at 12,095 ft. This high-mountain road crosses over the Continental Divide in the Sawatch Range of the Rocky Mountains. Use extra caution and remember to share the road when driving over any mountain pass. Always keep your eyes on the road and drive slowly while being prepared to yield. Road cyclists are often present and can be difficult to see around curves. Many other vehicles are also entering and leaving the roadway to enjoy recreational opportunities. Rockfall also remains an issue with occasional rocks in the roadway. The tight curves and single lane segments of the highway require heightened attention by drivers. This institution is an equal opportunity service provider and employer which operates under a special use permit with the Pike San Isabel National Forest.